Every now and then I find something I made but never put out. Often these were favorites that my girls just loved. The roll and make mats were a favorite for us! We always have loved using these types of activities. I love mixing up the different types of learning that my girl does. 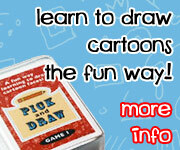 We do flashcards and mix in the hands-on games and activities. Today I have a multiplication hands-on mat for learning groups of for multiplication. I know that practicing math facts is not always fun. The multiplication roll and make mat is an easy way to change that. You can use these to have fun while learning about multiplication. Here is a look at how I set up the area for us to use it. I pulled out the LEGOs for 1, 2, 4, 6, and 10 to help make the numbers. I also have a 12 sided double dice and dry erase markers . I also have a recording sheet you can use with this set. I laminated the page to make it last longer. You can also put them in a sheet protector. The first step is rolling the dice on the mat. That gives you the two numbers you will work with. After we have the numbers we fill in the equations on the mat. Next, we build the equation below with LEGOs . The mat is a way to helps kids understand groups of objects. Another thing to help with these pages is the Multiplication Visual Wall Cards. These cards come in two sizes and help kids see the groups. We have the smaller set on a ring and love it! While legos are great and we love them. I know that my oldest never loved using them on the mats and we used unifix cubes instead. We would have our groups put together with the cubes and then circle the matching set on the wall cards. Click here to get your copy of the Free Multiplication Roll & Make Mat. Click here to buy your copy of the Multiplication Visual Wall Cards at Teachers Pay Teachers. This entry was posted in math and tagged free, hands on learning, multiplication, printables. Bookmark the permalink.